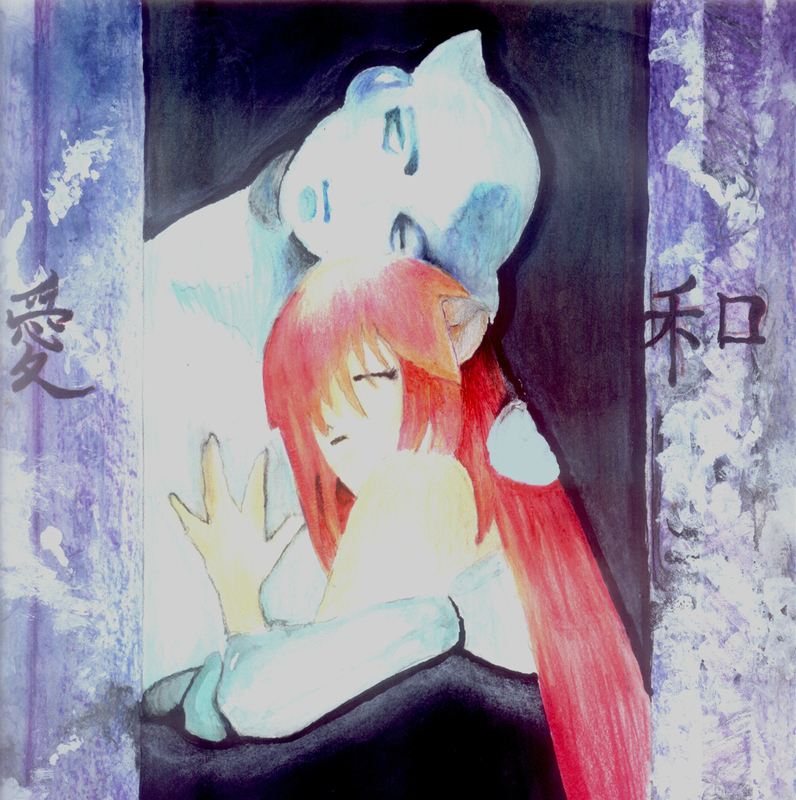 Well, here is my submission for the doujin contest--of course it had to do with my favorite dark anime "ELFIN LIED" The opening gave me the idea. is the left kanji 'love'? i like a lot both lateral lines, are they curtains? Quote by punixeris the left kanji 'love'? The left is LOVE and the right is PEACE. very nice! what did u use for the colours? Quote by timothysanvery nice! what did u use for the colours? gee, this doujin doesn't get the love it deserves. the colors really convey the dark and gloomy mood, and at the same time, love. definitely one of your bests, kokujindesu.